Royal Dental Spa (Roswell) - Book Appointment Online! At Royal Dental Spa of Roswell our goal is to provide the best cosmetic dental care in the Roswell, Georgia area. Each member of our dental team is dedicated to providing the highest quality of care to our valued patients. We also want our patients to be informed about cosmetic dentistry options, because informed patients make better choices about their health and well being. That is why we’ve included an extensive dental services section on this web site covering the full array of topics associated with cosmetic dentistry and diagnoses and treatments associated with your teeth. We encourage you to look through these pages whenever you have an interest or concern about your dentistry needs and care. This was my first visit. 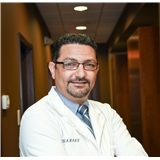 Dr. Samaan & his staff were awesome! They are all very friendly & professional. The ambiance is soothing which is great for a dental visit. They have all of the latest technology & flat screens above the dental chair. Dr. Samaan was sooo pleasant & explained everything I needed well. He was patient & empathetic. I highly recommend this practice to everyone. They are excellent!! !